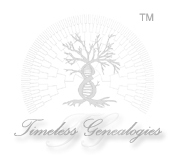 Timeless Genealogies Contact Us Page: Where your family is Number One! Do you need help from a professional genealogist? Are you hunting down your ancestors? Do you need a lecture? 14608 E. 41st. St. S.
Do you have any questions or comments concerning our web site? Press Here to Contact our webmaster at R&B Web Solutions today!